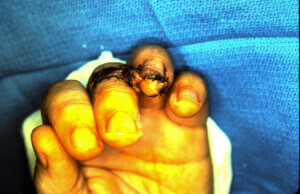 Ring Finger Amputatuion Repair with Middle to Ring Cross Finger Flap. 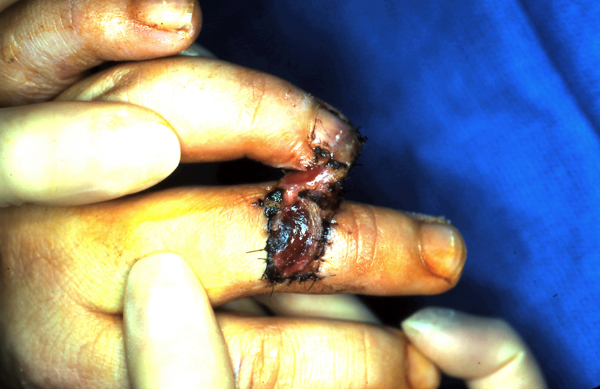 Loss of a significant portion of the volar pulp of the ring finger. Lateral view of the deficit. 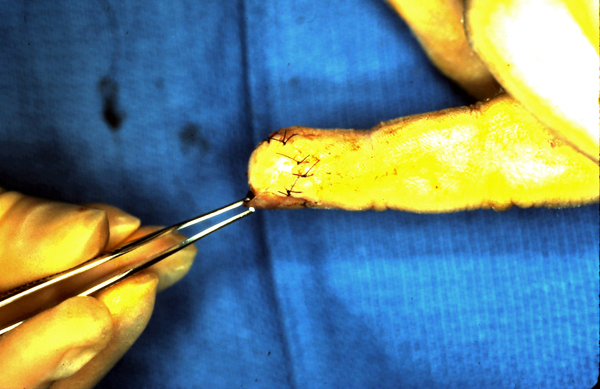 Middle to ring cross finger flap sutured in place. Cross finger flap intact, graft with some epidermolysis. 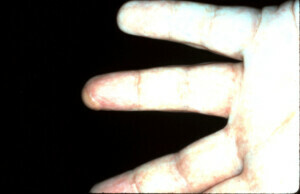 At time of division and insetting. 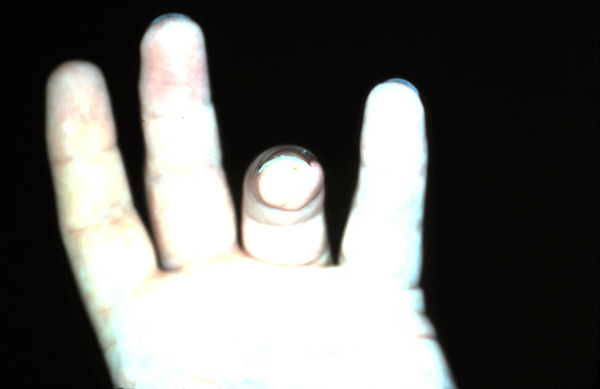 Lateral view of a viable cross finger flap at time of division and insetting. Intra op volar view at time of division and insetting. 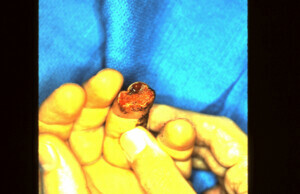 Healed post operative view velar surface. 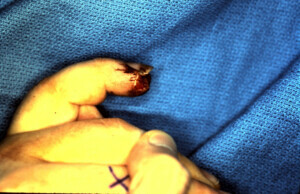 Post op end on view healed finger.